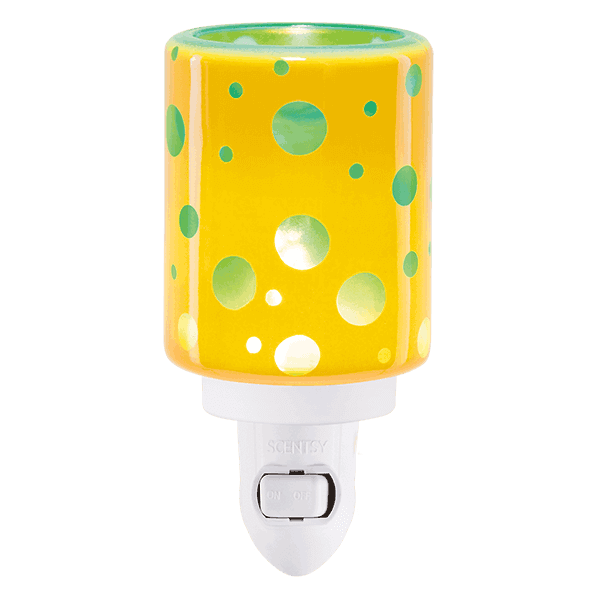 Scentsy Citrus Pop – Yellow , This little warmer makes a big statement with funky pops of color and light against a brightly hued background. Glass. Citrus Pop Mini Warmer • Scentsy Fragrance Warmers use a low watt bulb to warm wax melts.